Funding Successful. This project reached its goal before April 19, 2015. This campaign will only be funded if at least £25,000.00 is pledged by April 19, 2015. Thank you tweet from @ProfDavidNutt @beckleyfoundation and @walacea_ We will personally thank you on twitter for supporting the campaign. We really appreciate your support! NEW Online Seminar Perk: The fascinating findings will be shared via an online seminar which you will receive the login details for. Questions can be asked prior to and during the seminar and the team will do their best to answer as many as possible. Thank you postcard: An AWESOME brain postcard and a thank you message from the research team and Walacea that you can send to a friend or keep for yourself. Also includes the online seminar access. NEW: Seminar After-party: Tickets to an exclusive after-party to be held in London after the seminar and drinks. This will be an opportunity to meet other people who have supported the research as well as the scientists and talk with them about the findings and have a few drinks! Seminar tickets: Professor Nutt will be hosting an exciting presentation on his findings, you will be one of the first people to know and understand the effects of LSD on the brain, how it works and what medical uses it could have. This will be arranged in coordination with the publication of the study, dates to be confirmed but most likely the event will be later this year and will be in London. Early Bird Seminar tickets + drinks receptions: Seminar tickets and entry to drinks reception After Professor Nutt’s presentation of the results, he and the research team will be hosting a drinks reception. This is a relaxing way to end your night with drinks and an opportunity to talk to the research team, the subjects of the research and socialise with like-minded people and share thoughts on the research. Seminar tickets + drinks receptions: Seminar tickets and entry to drinks reception After Professor Nutt’s presentation of the results, he and the research team will be hosting a drinks reception. This is a relaxing way to end your night with drinks and an opportunity to talk to the research team, the subjects of the research and socialise with like-minded people and share thoughts on the research. Limited Edition Psychedelic print: For the lovers of science and art, a print of one of the first fMRI images of a brain on LSD ever taken can be yours. These images have never been seen before and will bring invaluable insight into the effects of LSD on the brain and could open the gateways into aiding people suffering from mental health disorders. The images will incorporate the data from the study and will be professionally designed. They will be limited edition and each print will have a number. Limited Edition Psychedelic print on canvas: For fans of the research team and Professor Nutt, you can own a limited edition print of one of the first fMRI images of a brain on LSD. These images have never been seen (or taken) before and will bring invaluable insight into the effects of LSD on the brain and could lead to insights into aiding people suffering from mental health disorders. This also includes two seminar tickets, tickets to the after party and the thank you postcard. Dinner party with the scientists: The truly curious and inquisitive can question the research team to their heart’s (or brain’s) desire during a dinner party hosted by the research team at Beckley Park, with a guest of your choice, a brilliant opportunity to talk in depth with leading scientists on the effects of psychedelic drugs on the brain. In addition to this delectable dinner you will receive the signed psychedelic prints, and two tickets to the presentation and the drinks reception. NEW: Lunch with the scientists: The lunch will be held at Beckley Park in the summer. It is an opportunity to discuss the Beckley Foundation Psychedelic Research Programme with Prof Nutt, Amanda Feilding and Robin Carhart-Harris and for you to raise ideas you may have about potential future studies on the effects of psychedelic drugs on the brain. In addition to the lunch and afternoon you will receive one brain image on canvas, and two tickets to the presentation and the drinks reception. Help raise awareness for this campaign by sharing this widget. Simply paste the following HTML code most places on the web. One question that has been on our minds for sometime, is how does LSD influence creativity? With further funding, we will extend the current study to include a further module which will combine brain imaging with the investigation of the effects of LSD on creativity and problem solving. To fund this study completely we need to raise a further £50k. We would really love to run this study so we’re just going to go for it! Thank you all for your amazing support so far! Why is it important to understand how psychedelics work in the brain? The main purpose of the imaging study is to determine how LSD works on the human brain to produce its characteristic psychological effects. This question has never been addressed before. Understanding more about the physiological effects of LSD will help us shed light on potential medical interventions as well as help us learn more about consciousness. In many respects how the brain works is still a mystery. By researching how psychedelics work, we will be a step closer to understanding how specific areas of the brain are affected to induce certain psychological effects. What are you trying to discover through this research? What could the results show? 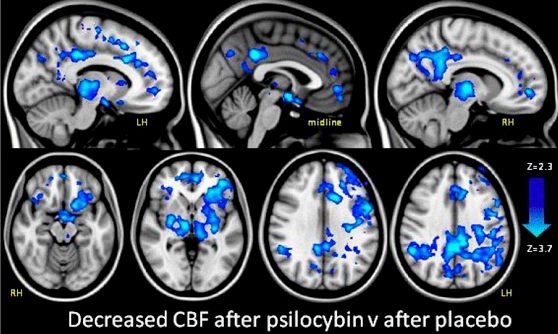 We recently carried out a brainimaging study of the key ingredient in magic mushrooms, psilocybin. It showed that psilocybin plays a role in the Default Mode Network (DMN), which is an area of the brain that has been implicated in cases of depression, OCD, Alzheimer’s, and autism. In particular, this research has raised interest in the investigation of psilocybin as a possible treatment for depression. We suspect that LSD works in a similar way to psilocybin, but we will not know for certain until we have analysed the results of the brain imaging study. When will the research begin? The research has already began. We have already scanned the patients and we are currently in the process of conducting the analysis. Why crowdfund part of the study? The LSD research is part of the Beckley Foundation’s Psychedelic Research Programme. The research is being conducted by Prof David Nutt, Robin Carhart-Harris and Amanda Feilding. The Beckley Foundation is a charity which has limited resources, therefore we are turning to crowdfunding to complete this study. It is difficult to find funding for psychedelic research as the subject is surrounded by taboo, but we hope that there are many of you who will be excited to provide funding so that this fascinating and important research project can be completed. What funding has been received so far? 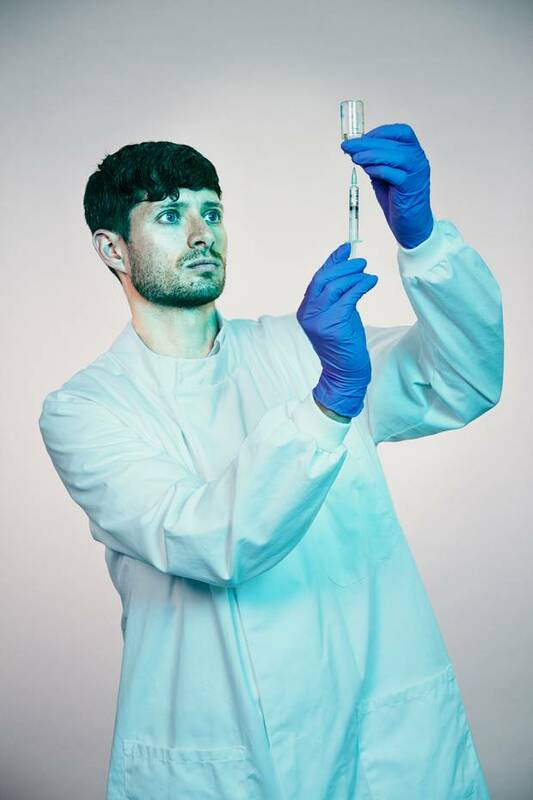 Apart from the funding provided by the Beckley Foundation, the study coordinator, Robin Carhart-Harris, is funded by the Medical Research Council (MRC), and the study medical doctors, Dr Mark Bolstridge and Dr Tim Williams, are employed by the MRC and NHS, respectively. Why have you chosen to raise funds towards this project rather than a completely new project that has not already been part funded? We think this is a very exciting project to support and one that requires further funding to be completed. This study will lead to further research on how LSD works in the brain and what may be its therapeutic potential. However, a new study would take several years before it reaches a stage in which we can share results. As this study has already started, we will be able to share the results with you later this year, which we think makes this a particularly interesting opportunity. WHAT ARE THE PERKS FOR SUPPORTING THIS PROJECT? We will personally thank you on twitter for supporting the campaign. We really appreciate your support! An AWESOME postcard with a thank you message from the research team and Walacea that you can send to a friend or keep for yourself. 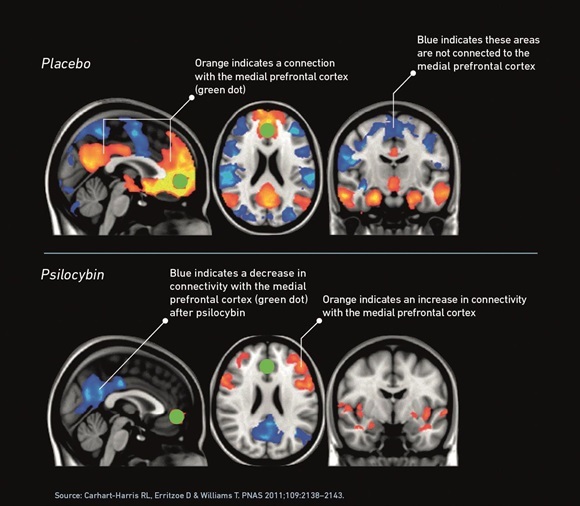 The image is a graphical representation of the increase in neurotransmitter activity in the brain of subjects given placebo versus those given psilocybin. The left side shows the stable brain activity in a normal brain. Right, under the influence of psilocybin, diverse brain regions not normally in communication become strongly linked. The fascinating findings will be shared via an online seminar which you will receive the login details for. Questions can be asked prior to and during the seminar and the team will do their best to answer as many as possible. Tickets to an exclusive after-party to be held in London after the seminar and drinks. This will be an opportunity to meet other people who have supported the research and talk with them about the findings and have a few drinks! Professor Nutt will be hosting an exciting presentation on the study’s findings. You will be one of the first people to know and understand the effects of LSD on the brain, how it works and what medical uses it could have. This will be arranged in coordination with the publication of the study. Dates are to be confirmed, but most likely the event will take place later this year, most likely in London. If there were demand for seminars in other locations, we would do our best to coordinate this. After Professor Nutt’s presentation of the results, he and the research team will be hosting a drinks reception. This is a relaxing way to end your night and an opportunity to talk to the research team, the subjects of the research and socialise with like-minded people and share thoughts on the research. This is an example of the source material that will be used as the starting point for the designed image you will receive. You will also receive a booklet clearly explaining and interpreting the findings. For the lovers of science and art, a print of one of the first fMRI images of a brain on LSD ever taken can be yours. These images have never been seen before and will bring invaluable insight into the effects of LSD on the brain and its potential to treat mental health disorders. You will also receive a booklet explaining the data from the study. All materials will be professionally designed. Prints will be numbered (limited edition). As above and the print will be signed by Professor Nutt, Amanda Feilding and Robin Carhart-Harris. As above, however the print will look extra beautiful printed on canvas. The truly curious and inquisitive can question the research team Prof Nutt, Amanda Feilding, Robin Carhart-Harris to their heart’s (or brain’s) desire during a dinner party hosted by the research team at the beautiful Beckley Park, with a guest of your choice. A brilliant opportunity to talk in depth with leading scientists on the effects of psychedelic drugs on the brain. In addition to this delectable dinner you will receive two brain image prints, and two tickets to the presentation and the drinks reception. The lunch will be held at Beckley Park in the summer. It is an opportunity to discuss the Beckley Foundation Psychedelic Research Programme with Prof Nutt, Amanda Feilding and Robin Carhart-Harris and for you to raise ideas you may have about potential future studies on the effects of psychedelic drugs on the brain. In addition to the lunch and afternoon you will receive one brain image on canvas, and two tickets to the presentation and the drinks reception. Who are the team involved? 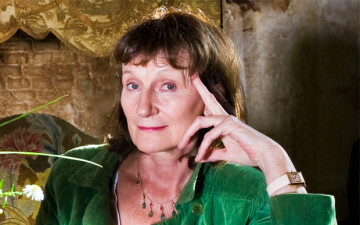 Amanda Feilding is founder and director of the Beckley Foundation, which she established in 1998, following a lifelong interest in consciousness research. In 1966, she had become passionate about the investigation of the physiological mechanisms underlying the ego, and the changing states of consciousness brought about by psychoactive substances and other practices such as meditation. She determined to follow through this research in order to learn more about consciousness itself, and how these substances might be used to help treat common illnesses. When setting up the Beckley Foundation she created a Scientific Advisory Board, whose members include Professors Colin Blakemore, Les Iversen, David Nutt and the late Doctors Albert Hofmann and Alexander Shulgin, among others. Since then, David Nutt and other members of the Advisory Board were regular contributors to the Beckley Foundation’s House of Lords Seminars entitled Drugs and Society: a Rational Perspective. 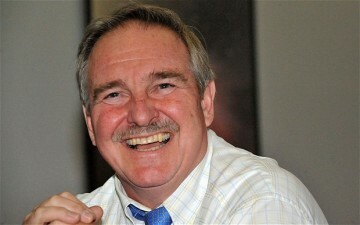 While David Nutt was still at Bristol University, Amanda encouraged him to set up a collaborative research programme with the Beckley Foundation, which they did in 2005. 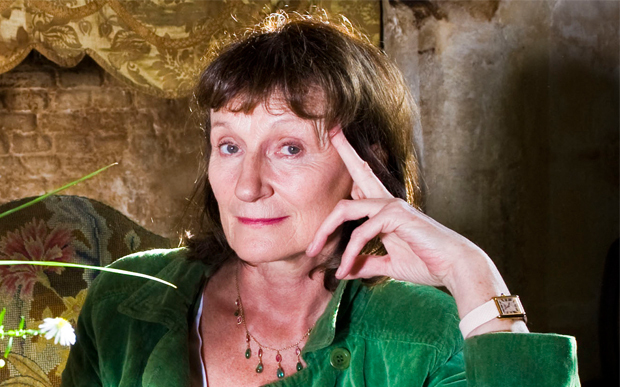 Amanda Feilding has always been fully involved in the planning and carrying out of the scientific projects as codirector, collaborator and author. It has always been her intention to open up the doors to scientific research on LSD. Since establishing the Foundation in 1998, Amanda has developed many collaborative partnerships with leading scientists and institutions around the world, with whom she works on a wide range of pioneering projects investigating the neurophysiology, pharmacology and subjective effects of psychoactive substances such as cannabis, psilocybin, MDMA, LSD and ayahuasca, in order to elucidate how these compounds affect the brain, and to better understand their potential therapeutic applications. Is it legal to administer LSD in a scientific study? What licenses and/or approval are required? Yes, it is legal. The researchers require a special license from the Home Office in order to be allowed to do this. To carry out a human research study involving the administration of a drug, the study also needs to be given a favourable opinion from an ethics committee, which this one has. Why have there been no LSD studies in the UK for 50 years? Studies with Schedule-1 drugs are particularly difficult to conduct because of the cost and difficulty of getting licenses. However, perhaps the main reason why there have not been any human research studies on LSD is that there is a lot of stigma surrounding the drug, i.e. researchers have not wanted to work with LSD because they have felt that their peers might consider it dangerous and reckless work. Moreover, until recently it was considered impossible to gain ethical approval for an LSD study. Has LSD been studied recently in other countries? There has never been a brain-imaging study investigating the mechanisms of how LSD works, but the first report on clinical research with LSD was published this year by a research team in Switzerland. This study looked at the safety and efficacy of LSD as an aid to psychotherapy for the treatment of anxiety related to dying. Is it dangerous to give people LSD? What are the risks? It can be risky for people to take LSD, but the dangers associated with its use are reduced significantly if it is given in a research setting with appropriate care. The two main risks associated with LSD are flashback phenomena, otherwise known as ‘hallucinogen persisting perceptual disorder’ (HPPD), which refers to the apparent persistence of unusual perceptual effects (e.g. visual ‘trailing’) associated with the acute effects of psychedelics; and exacerbated mental health problems. With respect to flashbacks, studies have tended to show that persistent hallucinations are very rare in recreational users and the phenomenon has been widely exaggerated. In the present study, we minimised this risk further by recruiting only individuals with prior experience with psychedelics that have never experienced symptoms of persistent hallucinations. With regard to the exacerbation of mental health disorders, evidence tends to suggest that psychedelics are more prone to be associated with improvements in mental health outcomes than decrements. There are some very rare cases of psychotic reactions to LSD persisting beyond the drug’s acute effects, but the risk of this can be reduced by carefully screening volunteers, ensuring they have no personal or family history of psychosis, and including only individuals with prior experience with psychedelics who have not had psychotic reactions. Finally, the risk of dangerous behaviour under LSD is significantly offset if the drug is administered in a controlled research environment. Where is the study being completed? The pilot phase is being completed in London, in the NIRH/Wellcome Trust Clinical Research Facility at the Hammersmith Hospital, and the neuroimaging (scanning) work has been completed at the Cardiff University Brain Research Imaging Centre (CUBRIC). Can I take part in future studies? We have specific eligibility criteria determining whether people can take part in our studies and these differ for the different studies we do. The simplest answer is that it would depend on the study and whether you meet the required entry criteria. If you would like to be added to our database, please complete this questionnaire. 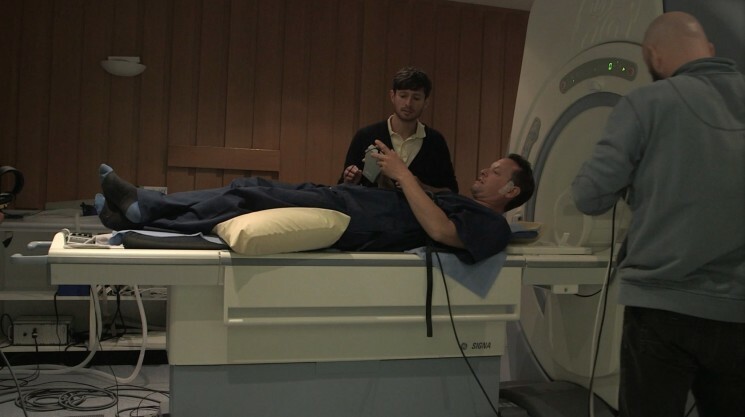 In the video there is footage of people being scanned, how much of the research was filmed? We have filmed most of our participants in the LSD research. We feel it is important to collect this footage for the purpose of better understanding the phenomenology of the psychedelic experience and for keeping a record of what actually happens during each experiment. What is the Beckley Foundation Psychedelic Research Programme? It is part of the Beckley Foundation’s Scientific Programme, which was set up in 1998 by Amanda Feilding, Director of the Beckley Foundation. 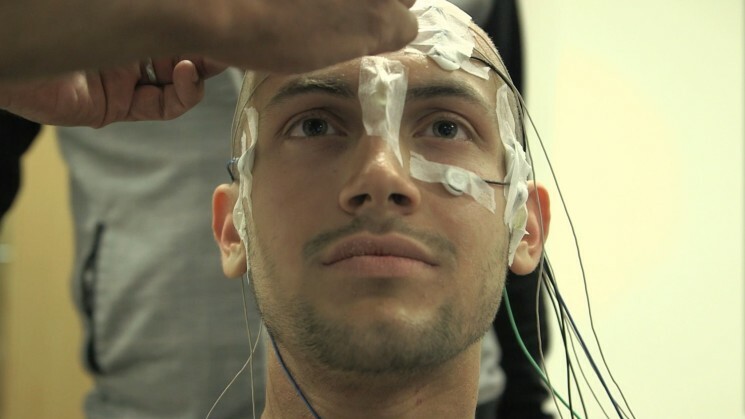 This programme of work investigates the brain mechanisms underlying psychoactive substances, such as psychedelics and cannabis, and their therapeutic applications. In 2005, a collaborative programme between Amanda Feilding and Professor David Nutt, who was then at Bristol University, was set up. In 2009, when Professor David Nutt was appointed Head of Neuropsychopharmacology at Imperial College London, the programme became the Beckley Imperial Psychopharmacological Research Programme. 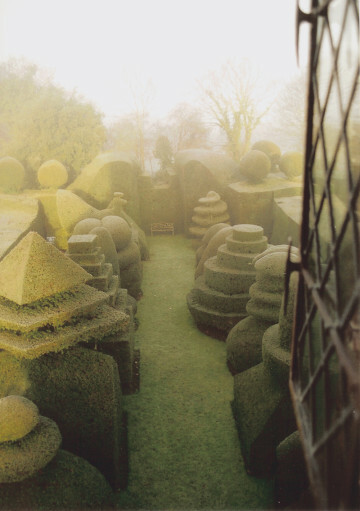 What is the background to the Beckley Foundation Psychedelic Research Programme? Over the past six years, the Beckley Foundation Research Programme has led to many publications in high-impact scientific journals. The work that has been conducted as part of this programme has been pioneering in many respects, and has produced some remarkable and important findings. Research includes the first functional magnetic resonance imaging (fMRI) and magnetoencephalography (MEG) research with psilocybin; the first resting-state fMRI research with 3,4-methylenedioxy-N-methylamphetamine (MDMA); and now the first fMRI and MEG research with lysergic acid diethylamide (LSD). In 2012, following on from pilot studies using psilocybin, a grant proposal to the Medical Research Council for a novel study investigating psilocybin as a treatment for depression was awarded. This research is expected to begin in the following months. We would like to say an extra special thank you to Ali Jennings and Georgina Cammalleri for their excellent work shooting the video for the campaign and the LSD research. The following Terms and Conditions constitute a legally binding agreement between Crowd.Science and Crowd.Science’s members. This agreement outlines the terms and conditions that govern member use as a Campaign Owner, Campaign Funder or third party and includes anyone acting on the Campaign Owner or Campaign Funder’s behalf or with the Campaign Owner or Campaign Funder’s express or implied authority of our services at www.Crowd.Science (”Crowd.Science”). The member also undertake to familiarise themself with Campaign Owners and Campaign Funders must also agree and comply with the Stripe Acceptable Use Policy and the terms and conditions on other websites operated by Crowd.Science and its related and affiliated companies, to the extent that the member uses those websites. Stripe is the payment gateway which Crowd.Science uses. Nothing in this Agreement creates a partnership, employment relationship or agency between the member and Crowd.Science. This Agreement may not be assigned in whole or in part, to any third party without Crowd.Science’s prior written consent, and any attempt to do so will be invalid. Should any part of this Agreement be held invalid or unenforceable, that portion will be construed consistent with applicable law and the remaining portions will remain in full force and effect. Failure by Crowd.Science to enforce any provision of this Agreement will not be considered a waiver of the right to enforce such provision and Crowd.Science’s rights under this Agreement will survive any termination of this Agreement. Members warrant that Campaigns listed and information provided to Crowd.Science or other members in the registration or listing process, in any public message area (including the discussion boards and in feedback) or through any email feature are true and correct. Members are solely responsible for the information that they provide on Crowd.Science. Members warrant that they are 18 years of age and have capacity to enter into a legally binding contract and accept these terms and conditions. “Campaign” means scientific research proposal, issues or causes as registered on Crowd.Science by the Campaign Owner. “Campaign Owners” means individuals, groups and organisations (as approved by Crowd.Science moderators) who have registered a Campaign on Crowd.Science. “Campaign Funders” means individuals, groups and organisations that fund Campaign Owners campaigns in exchange for Rewards. “Campaign Reward” means items, experiences or services offered by Campaign Owners to Campaign Funders in exchange for Campaign Funders funding Campaigns. “Crowd.Science” means the Crowd.Science website platform and software and includes Crowd.Science’s agents, employees, subcontractors and suppliers. “Crowd.Science moderators” means a moderator approved by Crowd.Science to decide which Campaigns are eligible to raise funds on Crowd.Science. “Force Majeure” means the occurrence of any event or circumstance beyond the reasonable control of Crowd.Science. “the member” means the Campaign Owner, Campaign Funder or third party and includes anyone acting on the behalf of a Campaign Owner or Campaign Funder or with express or implied authority. “Trust Account” means the trust account held by the Nominated body that will hold the funds raised by the Campaign Owner from the Campaign Funders. Crowd.Science is an online crowdfunding service and acts as a venue to allow members who comply with Crowd.Science’s Terms and Conditions and Policies to raise funds for their scientific proposals, or to contribute funding to scientific proposals. Crowd.Science allows approved Campaign Owners to list Campaigns and raise funds through offering Rewards to new and existing Campaign Funders. Crowd.Science is not directly involved in the transaction between Campaign Owners and Campaign Funders. As a result, Crowd.Science will not be liable for the control, quality, safety, morality or legality of any aspect of the Rewards listed or the truth or accuracy of the listings, the ability of Campaign Owners to sell Rewards or the ability of Campaign Funders to pay for Rewards. Crowd.Science cannot ensure that a Campaign Funder or a Campaign Owner will actually complete a transaction and is not liable for any loss to the Campaign Funder or Campaign Owner. Science does not transfer legal ownership of Rewards from the Campaign Funder to the Campaign Owner and is not liable for any failure by the Campaign Owner to provide a Reward to the Campaign Funder. Crowd.Science cannot guarantee the true identity, age, and nationality of any member. Crowd.Science is not responsible or liable for any content (data, text, information, graphics, images, photographs, profiles, audio, video, items, and links) posted by members or third parties on Crowd.Science. Crowd.Science does not take any responsibility for any loss caused to the Campaign Owner or Campaign Funder arising directly or indirectly from any failure or delay caused by the Campaign Owner or Campaign Funder or by reason of any event or circumstance outside of the reasonable control of Crowd.Science or due to Force Majeure. It is the responsibility of the Campaign Owner/Campaign Funder to take precautions to ensure that whatever computer equipment and/or software used is free from viruses, worms, Trojans and other items of a destructive nature. Crowd.Science shall not be liable for the interactions with any organisations and/or individuals found on or through the Crowd.Science service. This includes, but is not limited to, delivery of goods and services, and any other terms, conditions, warranties or representations associated with listings on Crowd.Science. Crowd.Science cannot be held liable for the actions of a Campaign Owner; Campaign Owners are wholly responsible for fulfilling obligations both implied and stated in any campaign listing they create. Crowd.Science does not oversee the performance or punctuality of Campaigns. Crowd.Science reserves the right to cancel a campaign listing and cancel all pledged payments at any time for any reason. Crowd.Science reserves the right to remove a campaign listing from public listings for any reason. Crowd.Science is not responsible for any damage or loss incurred as a result of any dealings on the Crowd.Science platform. Crowd.Science is under no obligation to become involved in disputes between Campaign Funders and Campaign Owners, or between site members and any third party. In the event of a dispute, you release Crowd.Science employees, partners and successors in rights from claims, damages and demands of every kind, known or unknown, suspected or unsuspected, disclosed or undisclosed, arising out of or in any way related to such disputes and our service. Crowd.Science cannot guarantee the performance or reliability of the STRIPE online payment service. Additionally, because of occasional failures of some credit cards, Crowd.Science cannot guarantee the full receipt of the total funds pledged to a Campaign Owner’s campaign. Crowd.Science cannot guarantee the full receipt of pledged funds Campaign Funders due to occasional failures when capturing funds from debit and credit cards. While Crowd.Science may provide basic moderation to listed Campaigns, Crowd.Science is under no obligation to do so, and Campaign Funders are responsible for due diligence before pledging any funding to Campaign Owners. This limitation of liability section shall prevail over any conflicting or inconsistent provision contained in these Terms and Conditions. Campaign Owners register as members on Crowd.Science. Campaign Owners register their Campaign on Crowd.Science for approval by Crowd.Science. Crowd.Science moderators assess the Campaign. If Crowd.Science moderators accept the Campaign Owners Campaign, Crowd.Science will register the Campaign and open the Campaign to receive funds from Crowd.Science in exchange for Rewards as provided to Campaign Funders by the Campaign Owners (if applicable). All funds are collected for Campaign Owners from Campaign Funders through the Stripe online payment service. Campaign Funds are then transferred into the Campaign Owner for the Campaign Owner to then transfer into their Nominated Account in line with their university policy. Science collects and transfers these pledged funds to the Campaign Owner at the Campaign Deadline if the campaign goal has been reached. By launching a Campaign on Crowd.Science, the Campaign Owner agrees that all funds raised will be used for conducting the research proposed in their campaign. If more funds are raised than the goal specified, the Campaign Owner must use the funding for conducting related research or refund the excess to the backers. As a Campaign Owner, Campaign Funder or member you accept and agree that Crowd.Science is not responsible for the transfer of funds after Crowd.Science has transferred funds to the Campaign Owner. Crowd.Science does not oversee the performance or punctuality of projects. Crowd.Science cannot be held liable for the actions of a researcher, researchers are wholly responsible for fulfilling obligations both implied and stated in any project listing they create. [Funders] Any perks offered to you are between you and the researcher only and Crowd.Science does not guarantee that they will be of satisfaction to you. By listing a Reward on Crowd.Science the Campaign Owner warrants that all aspects of the Reward comply with Crowd.Science’s published policies. The Campaign Owner warrants that the Reward may be legally sold. The Campaign Owner must accurately describe the Rewards and all terms of sale in the Campaign Description and the Reward Description. Reward Descriptions may only include text descriptions, graphics, pictures, videos, photographs and other content relevant to the sale of that Reward. Rewards must accurately and completely describe the item(s) or experiences on offer. If the available quantity of the Reward is more than one or unlimited, all items and/or experiences listed in that Reward tier must be identical. Each unique Reward must have its own listing as a new Reward. All Campaign Owners are urged to outline seller policies for their Campaigns. These policies may include, for example, shipping, returns, payment and selling policies. Campaign Owners must create reasonable policies in good faith and must abide by such policies. All seller policies must comply with Crowd.Science’s site-wide policies. Campaign Owners are responsible for enforcing their own reasonable seller policies. Crowd.Science reserves the right to request that a Campaign Owner modify a seller policy. All Reward sales are binding on the Campaign Owner. The Campaign Owner is wholly responsible for meeting any obligation or Reward stated or implied in their campaign. Crowd.Science is not responsible for the delivery of Rewards stated in campaigns. Campaign Funders should contact the Campaign Owner if the delivery terms are not clearly stated in the project description. The Campaign Owner is obligated to provide the Reward(s) or otherwise complete the transaction with the Campaign Funder. Registering as a member and setting up a Campaign on Crowd.Science is free. Crowd.Science charges fees to Campaign Owners at the conclusion of the campaign or whenever the Campaign Owner chooses to collect the pledged funds. Funds can only be collected once the campaign has reached its goal. Crowd.Science will initiate a capture of all funds from Campaign Funders and transfer the funds to the Campaign Owner (minus the Crowd.Science fees). Crowd.Science charges a service fee of 5%, which is deducted from the total amount of funds raised at the end of the campaign. Crowd.Science charges a transaction fee for Credit / Debit Card on Crowd.Science 2% + 30p per transaction (UK) to cover costs incurred from the stripe payment gateway. There is a 7 – 10 business day processing period (after the end of a Campaign) in which supporters who have had their pledges declined are invited to resubmit their pledge. Crowd.Science may change fee policies and the fees for services. Crowd.Science may choose to temporarily change our fees policy and the fees for our services for promotional events (for example, free service days) and such changes are effective when we post the temporary promotional event. If Crowd.Science introduces a new service, the fees for that service are effective at the launch of the service. Unless otherwise stated, all fees are quoted in the currency of the project. The member is responsible for paying all fees associated with using our services and all applicable taxes (including any goods and services or value added taxes, which will be added to amounts billed to you, if applicable). The member should consider Crowd.Science fees when determining the funding goal of Campaigns. The campaign owner is responsible for paying any taxes that may be required e.g. if the funding is paying for salaries. Campaigners and contributors must agree to comply with Stripe Terms and Conditions. Crowd.Science transfers the funds to the Campaign Owner after the campaign deadline. Campaign Funders may initiate refunds at their own discretion. If, for any reason, Crowd.Science is required to refund monies to Campaign Owners, the Campaign Owner will fully compensate Crowd.Science for the amount refunded as well as any associated costs, including but not limited to transaction or administrative costs. The member agrees that any attempt to obtain a refund without first having obtained prior written consent to refund shall entitle Crowd.Science to deactivate the member’s account unless and/or until such time as the fees are repaid or a credit or refund is agreed with Crowd.Science. Communications between the Member and Crowd.Science are to be in electronic form. The member consents to receive communications and notice from Crowd.Science electronically and agrees that all terms and conditions, agreements, notices, disclosures, and other communications that Crowd.Science satisfy any legal requirement that such communications would satisfy if it were in writing. In addition to these terms and conditions the member must familiarise them self with, and comply with the Policies, domestic laws (including common law), country legislation, international laws, statutes, ordinances and regulations regarding use of Crowd.Science services including listing and supporting Campaigns. Campaign Owners should be aware that funds raised using Crowd.Science could be taxable income. It is the Campaign Owner’s responsibility to declare the funds and comply with local tax laws. Campaign Owners alone, and not Crowd.Science, are responsible for ensuring that the campaign listing and any other activities conducted on the Crowd.Science website are lawful. Campaign Owners must ensure that they comply with all applicable laws in UK and all other countries. Campaign Owners must also ensure that they strictly comply with these term and conditions and the policies, which form part of the agreement. The member shall attempt to resolve all disputes arising out of these Terms and Conditions in a spirit of cooperation without formal legal proceedings. Any dispute which cannot be resolved and other than injunctive relief shall be subject to mediation upon written demand of the member to Crowd.Science and any notice of dispute shall be provided within seven (7) days of the dispute arising. These terms and conditions are governed in all respects by the laws of the United Kingdom and any action arising under them or in any way connected with the Crowd.Science service may be brought only in a court in the United Kingdom, subject to any law, which is expressly inconsistent with this. The members irrevocably agree that the courts of United Kingdom are to have exclusive jurisdiction to settle any disputes which may arise. Crowd.Science staff and appointed members may moderate campaigns and other content (data, text, information, graphics, images, photographs, profiles, audio, video, items, and links) on the Crowd.Science platform.